Florida Marie Vanzant, 75, of Chattanooga, passed away on Saturday, January 12, 2019, in a local health care facility. She attended the Chattanooga Public Schools system. She was employed at Dupont and later for Erlanger Hospital for several years. 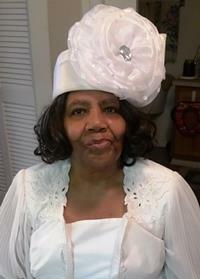 Florida was a member of Macedonia Baptist Church, and later moved her membership to Unveiled Truth Church. She was preceded in death by her husband, Charles Vanzant; daughter, Desalena Cousin; parents, Robert and Odessa Sims; brothers, Otis Brown and Robert Sims. Survivors include her sons, Vincent (Angela) Ervin and Kelvin (Schoronda) Ervin; seven grandchildren; nine great-grandchildren; brother, LaVaughn (Eloise) Sims; sisters, Roselyn Miller and Jacqueline Simmons; uncle, Johnny Sims; aunts, Eula Thomas, Inez Sims, and Hattie (Haskell) Darby, all of Chattanooga; a host of other relatives and friends. She will lie in state on Friday, Jan. 25, after 1 p.m. at Taylor Funeral Home. Funeral service will be Saturday, Jan. 26, at 1 p.m. in the chapel with Pastor Perry L. Beck as the eulogist. Burial will be in Highland Memorial Gardens.